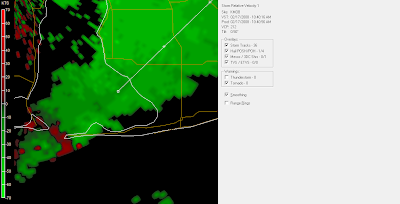 According to WALA-10, The one that went into Weeks Bay, a waterspout was reported and came ashore. But no damage. 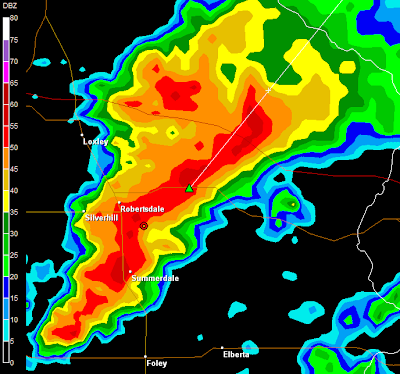 Ham radio reported a funnel cloud south of Robertsdale. 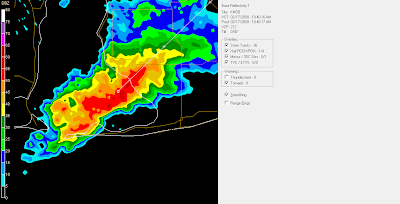 At 1054 AM CST... Doppler Weather Radar Indicated A Possible Tornado About 8 Miles Southwest Of Mouth Of Weeks Bay... Moving Northeast At 15 To 20 Mph. 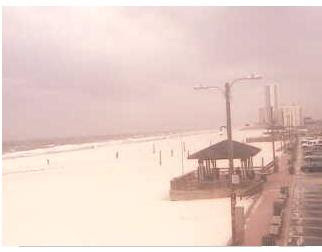 Pink Pony webcam in Gulf shores, looking west at approx 10:45 a.m.